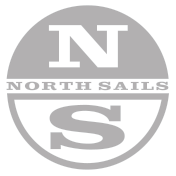 The M-3 Mainsail is made out of North's exclusive Radian cloth. The J-3 Jib is made out of North's exclusive Radian cloth. The 6S-3 Spinnaker is manufactured in 0.75oz nylon.